The idea is pervasive in comic books and movies. For example, in the 2009 “Star Trek” reboot, the premise is that the Kirk and Spock portrayed by Chris Pine and Zachary Quinto are in an alternate timeline apart from the William Shatner and Leonard Nimoy versions of the characters. 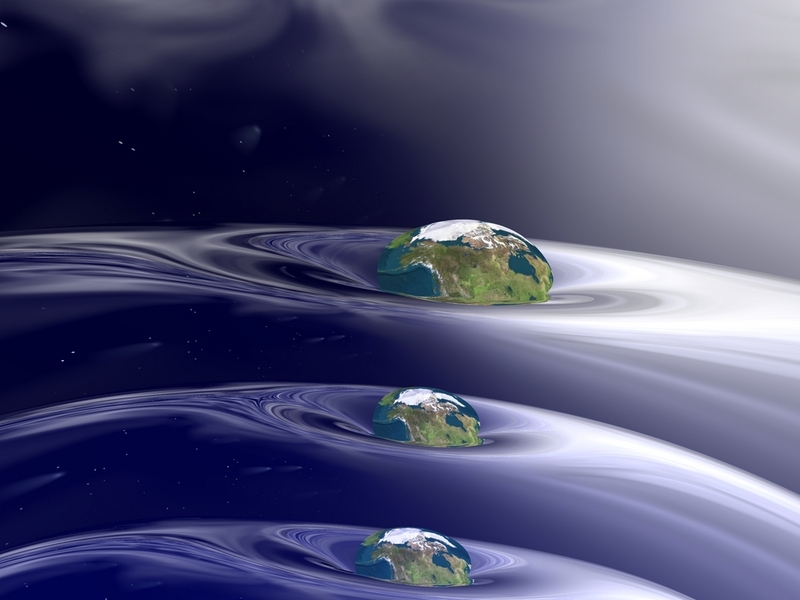 The concept is known as a “parallel universe,” and is a facet of the astronomical theory of the multiverse. 1. We don’t know what the shape of space-time is exactly. One prominent theory is that it is flat and goes on forever. This would present the possibility of many universes being out there. But with that topic in mind, it’s possible that universes can start repeating themselves. That’s because particles can only be put together in so many ways. More about that in a moment. 3. Or perhaps multiple universes can follow the theory of quantum mechanics (how subatomic particles behave), as part of the “daughter universe” theory. If you follow the laws of probability, it suggests that for every outcome that could come from one of your decisions, there would be a range of universes — each of which saw one outcome come to be. So in one universe, you took that job to China. In another, perhaps you were on your way and your plane landed somewhere different, and you decided to stay. And so on. 5. And last but not least as the idea of parallel universes. To go back to the idea that space-time is flat, the number of possible particle configurations in multiple universes would be limited to 10^10^122 distinct possibilities, to be exact [Please explain the derivation of this number.]. So, with an infinite number of cosmic patches, the particle arrangements within them must repeat — infinitely many times over. This means there are infinitely many “parallel universes”: cosmic patches exactly the same as ours (containing someone exactly like you), as well as patches that differ by just one particle’s position, patches that differ by two particles’ positions, and so on down to patches that are totally different from ours. Also, the expansion at the beginning of the universe took place exponentially because there was so much “energy inherent to space itself,” he said. But over time, that inflation obviously slowed — those particles of matter created at the Big Bang are not continuing to expand, he pointed out. Among his conclusions: that means that multiverses would have different rates of inflation and different times (longer or shorter) for inflation. This decreases the possibilities of universes similar to our own [Why do they need to be similar? ].